#NewToMeMay is a reading challenge that I'm organising and taking part in during the month of May. The aim is to read as many books by new-to-me authors and to be a little more adventurous in which books I'm picking up. Bonus points go towards books that have been on my shelves for quite awhile. If you are taking part in this, do let me know! 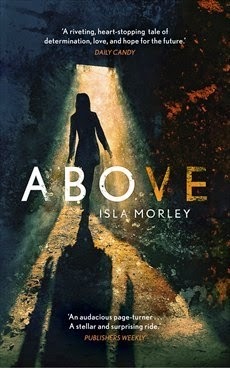 First up, I picked up Above by Isla Morley to read. I think this was an unsolicited book sent for review? I don't normally priortise those sorts of books, but Above had a really intriguing premise. It's the story of a teenage girl who is abducted by a survivalist and about how she lives for many years in an abandoned silo. I really enjoyed the first half of the book and then I felt like it sort of lost its way. A full review to come soon! Above was quite the chunky book and for my next read, I really wanted to choose something a little bit thinner. 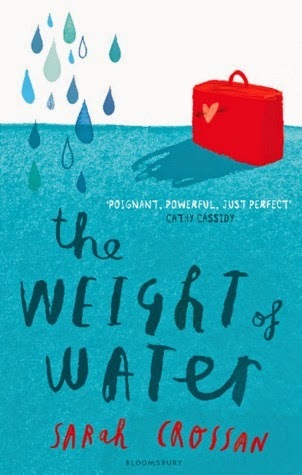 So I went with The Weight of Water by Sarah Crossan, which was an e-book that I'd bought in an Amazon Kindle sale many years ago. It's a novel told in verse about a Polish immigrant and her mother who come to England searching for her father and they both face some quite heart-breaking prejudice and bullying. I thought it was really beautifully and emotionally written and I can't recommend it enough! 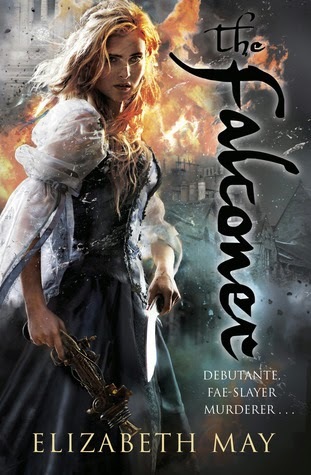 For my next read, I chose The Falconer by Elizabeth May. Wow, this book. It really took me by surprise by how wonderfully exciting and addictive it is and it has the most amazing characters in it. I finished this book and I just wanted MORE. More of the story, more of the world, more of the characters and their relationships together. I loved everything about it and I am desperate now to read the sequel! Why did I wait so long to read this book, why?! And finally, I read Take Back the Skies by Lucy Saxon. 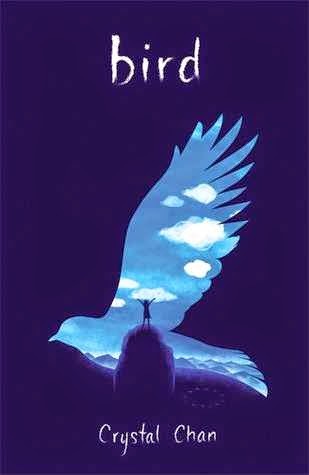 I was feeling a bit of a fantasy urge about reading and loving The Falconer so it was an easy choice to pick up Take Back the Skies which is another UKYA fantasy book. I thought the fantasy world was really interesting and I loved the political elements and the whole idea of a girl stowing away on airship ... but I also felt like something was a bit lacking as well. I'm going to continue to mull over my thoughts on this book and will hopefully scrape together a review soon! Have you discovered any new-to-you authors yet this month? 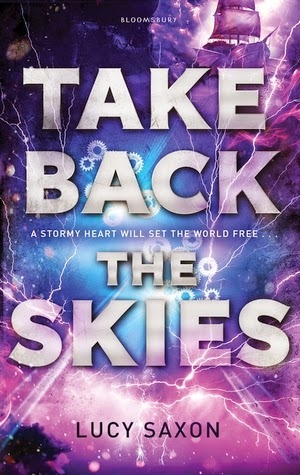 Ooh, Take Back The Sky's cover is gorgeous, shame it didn't quite live up to it though. I have nearly finished a new to me author, a review book, which would be my... second this month. I hope you've enjoyed both the books you've read :) I probably would have done really well on this challenge even if I hadn't started it, but I've just enjoyed challenging myself to read different things! Thanks :) I am having fun. Also, YES YOU SHOULD!